Acorn Childcare wins food excellence award! Acorn childcare has become one of the first nursery groups in the UK to receive a new national award for excellence in children’s food and nutrition. Located throughout Milton Keynes and Northamptonshire, they achieved the Children’s Food Trust Award, a new accreditation scheme designed to help schools and early years settings show their commitment to helping children eat well. 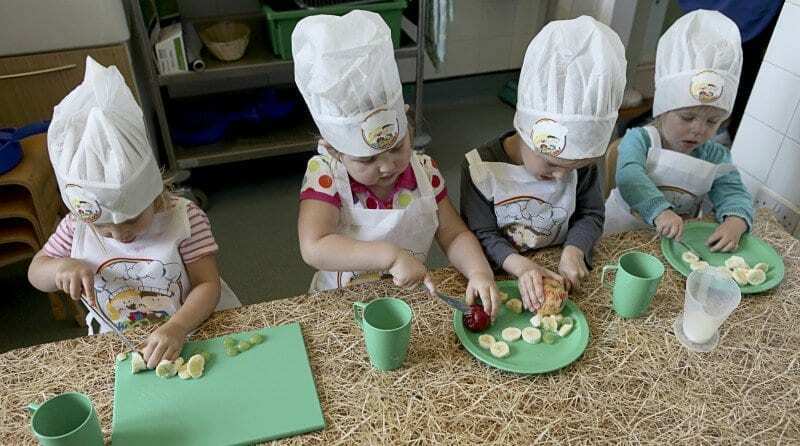 Acorn Childcare met tough criteria in regards to their food policy, menus, dining experience of the children, staff training, and opportunities for children to learn and how well the children are encouraged by staff to eat healthily. They will now continue to work alongside the Children’s Food Trust to ensure they maintain the remarkable standards they have achieved. “When parents are choosing a school or nursery, we always want to know what the food is like. We want to know our kids will be getting great food and that they’ll be encouraged to eat well. How do your settings address food and healthy diet? How important do you think it is for our children to learn about a healthy diet from an early age?